Welcome to Charlotte Auto Glass, your first choice for affordable windshield repair and auto glass replacement in Charlotte, North Carolina. We proudly serving customers in the Charlotte, NC and surrounding areas. At Charlotte Auto Glass we only use trained and licensed glass technicians, quality components and materials that we back completely. 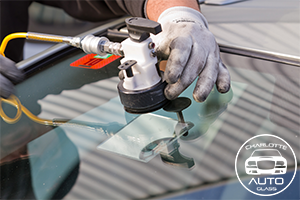 We use trained technicians to set every windshield and most rear window replacements for better placement, a more accurate fit and uniform seal. 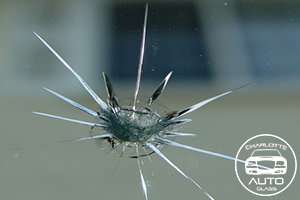 Safety, quality workmanship and a friendly welcoming atmosphere are top priorities here at Charlotte Auto Glass. Charlotte Auto Glass offers Charlotte windshield repair and replacement, auto glass repairs of your back window, door glass, quarter glass, vent glass, windscreens and windshields. Upon request, OEM auto glass will be installed. We offer a Lifetime Leakage Warranty on all auto glass replacements. Long Cracks up to 12″ can be repaired by us. Request for a quote or give us for all your auto glass needs. We are specializes in auto glass repairs for all vehicle makes and models. We offer repairs for any car or truck window as well as windshield repairs, windshield replacements, and window replacements. Call us for quality auto glass, personalized services, and competitive prices. We work with most insurance companies and provide mobile services at no extra charge. Our certified auto glass technicians are highly skilled and work one-on-one with you to meet your needs every time. For great customer service, contact us. We serve Charlotte and surrounding areas. We offer free mobile courtesy service to your home or office, to make repairing or replacing your auto glass as convenient as possible. The safety and security of our customers are important to us and we know your time is precious to you. We strive to give you a specific time frame for the repair appointment when scheduling. For added convenience, our auto glass technicians will also call you on the morning of the appointment to confirm the time of arrival.